Let's face it. Our seats need a little updating every once in a while, but the super cute fabrics are just not practical for the dinning table. I decided I wanted to make my own stain resistant seat covers. I looked and looked and the furthest I got was a tutorial on making a floor rug out of a tablecloth....I applied this principle to the seat covers here is what you will need. Ok, I am going to suggest you something a little differently than I did. 2.. Pre-cut your fabirc to the size you will need. If your reupholstering a seat, then I would suggest measuring the area of the top including the depth of the seat and add an inch....I really just eyeballed it. 4. 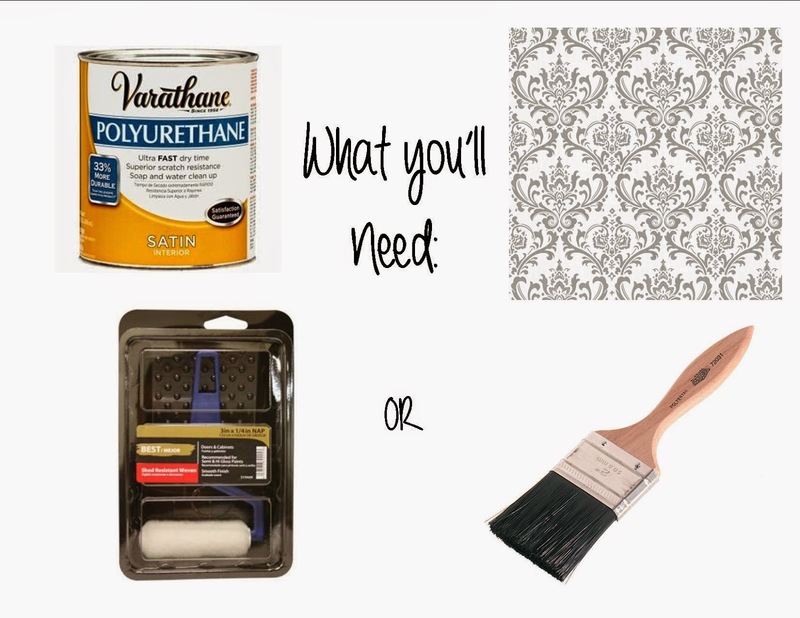 "Paint the middle area of the fabric leaving about an inch or two untouched around the perimeter. * this makes it easy to wrap the fabric around a seat and easy to staple. 5. Wait for it to dry. Make sure to peel the fabric off the concrete a few minutes into drying, this just ensures it doesn't really stick to the concrete or work surface. 7. Then apply a second coat. Peel up the fabric so it doesn't stick. 6. Move onto your project. Note: I used this cloth to update my dining room chairs. 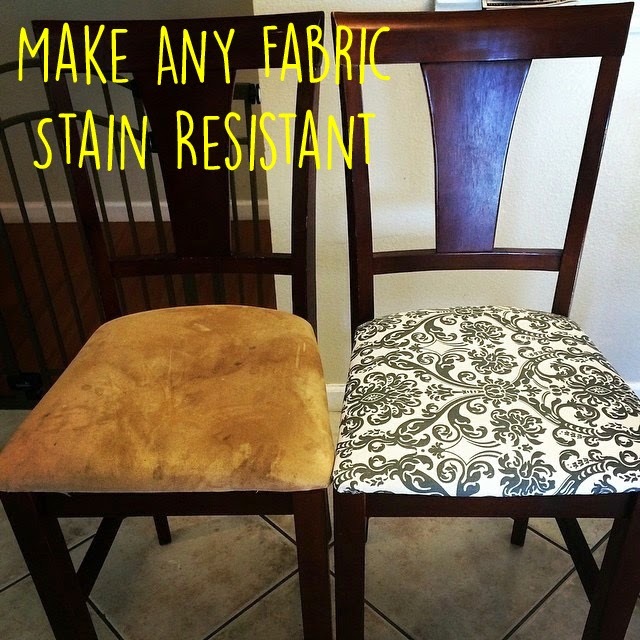 The polyurethane makes the cloth a little stiff at first that can make reupholstering the seats a little difficult. On my last half of the project, I pre-cut the fabric and worked in smaller pieces. Using this method you can make a nice economical outdoor or indoor floor cloth. Just cover the entire piece of cloth and coat both the top and the bottom of the fabric. Oblong table clothes are perfect for this.